Come and hit the peak everyone talks about. An iconic run (we use the term ‘run’ very loosely here) up to 1578m above sea level provides an amazing 360 degree view of Lake Wanaka, Mt Aspiring National Park and the surrounding area. 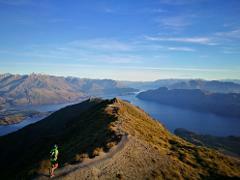 One of the EPIC runs in the Wanaka area and with views to match. This one will leave you with tons of photos and very tired legs. 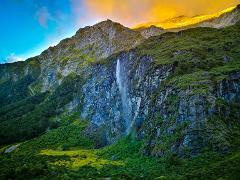 The Rob Roy Glacier Track run provides a glimpse into the majestic raw power of Mt Aspiring National Park. This run makes you feel like you have hiked days into the wilderness. 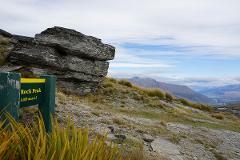 Isthmus Peak, otherwise known as Roys lesser known brother, is just as challenging and provides 360 degree view of the area covering Lake Hawea, Lake Wanaka and all the peaks in-between. 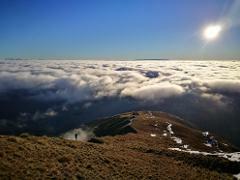 This 15km return run is definitely worth the ascent. The name says it all. 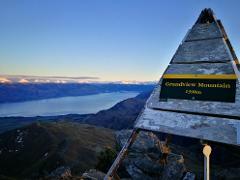 This hike meanders through pastoral land before it heads high above Lake Hawea and provide astounding views and upon Grandview Range. Views right through to Mt Aspiring (Tititea) can be provided on clear days. 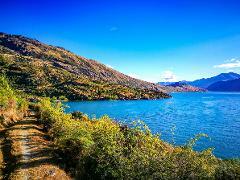 Ever wanted to experience the Central Otago Rail Trail but didn’t have the time? Well now you can get a taste of the trail and see the main highlights all by foot. Hit the 2 longest bridges and 2 longest tunnels on the trail! This is a popular track with options to one or both of these scenic locations. Diamond Lake is an easy 30min return run suitable for all abilities while Rocky Mountain stretches a little further and provides 360 degree views of Lake Wanaka. A short drive from Wanaka will give you access to this gorgeous part of the world. Hugging Lake Wanaka the Minaret Burn Track traverses native bush and forest, burns (streams) and if we manage to make it – a secluded beach to take a break. 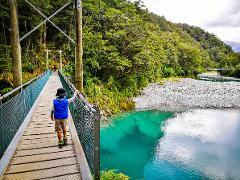 You can’t leave Wanaka unless you have taken a trip to the iconic Blue Pools at the start of the Haast Pass. The track winds its way through Beech forest and across a swing bridge to a viewing platform over the Blue Pools. 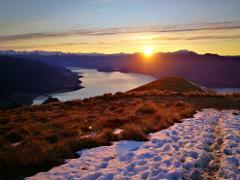 From the highest sealed pass in New Zealand climb higher again up to Rock Peak at 1490m above sea level. The Pisa Conservation Area is an amazing place to explore and this shorter run provides views all around the area.